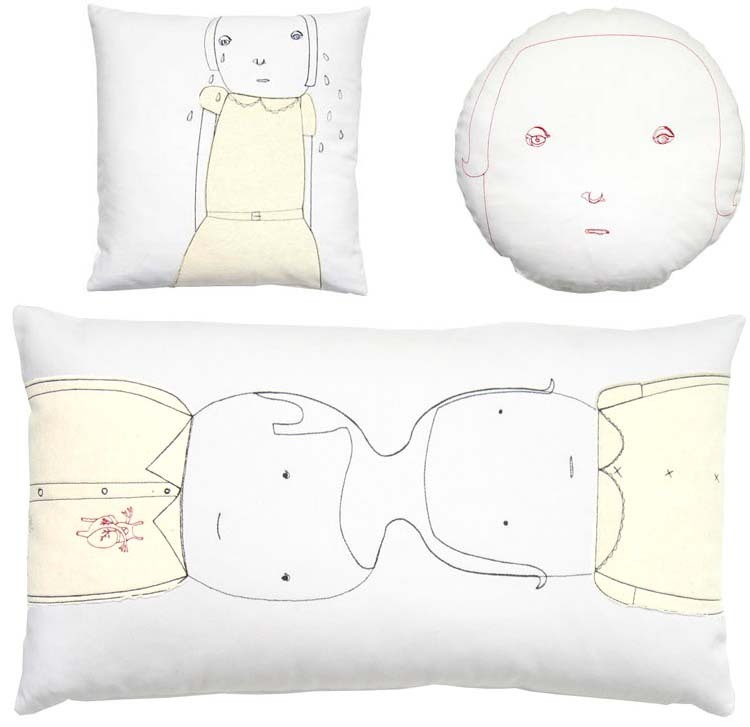 K Studio recently launched matching His and Hers pillows for Fall, all are available in either organic cotton or hemp, some in white, others in gray. K Studio has such a delicate touch, each pillow seems to carry some emotion, and I love the lines and pale color palette she's using for Fall - very natural and clean. In the Fall and Winter, most turn to deep, rich colors and although they are beautiful, in certain regions saturating a home in these tones is a bit draining. I live in the northeast and like to keep my color palette light and bright. These pillows are perfect for me, but despite how cute they are, my favorite will always be the woodland creatures pillow.